Are you looking for an enjoyable volunteering role through which you can meet others, feel part of a supportive team, and enjoy the rewards of helping people with hearing loss? Our charity is dependent on a large team of 115+ volunteers to deliver our work and there are a range of roles on offer. We ask for references and a Disclosure and Barring Service check where appropriate. Session Hearing Help Volunteers: We are looking for volunteers able to provide NHS hearing aid maintenance at one or more of our 43 community-based hearing help sessions across the county. You will need to be able to commit to at least two hours per month and have good eyesight (with glasses) and dexterity. We will train you to clean and re-tube NHS hearing aids and provide hearing loss information, advice and signposting via a two day training course and hands-on experience. You will start off by training at your chosen community-based Hearing Help session(s). You will also need to attend our next 2-day hearing aid maintenance training course. Our next course will run in autumn 2019 in the Chatteris/Ely area. Please download this pdf for further information: CHH Volunteer Training Autum 2019. Once you have built your confidence at our Hearing Help sessions, there may also be the opportunity to also take on the role of Community Hearing Help Volunteer if this is something that interests you. Community Hearing Help Volunteers: We are looking for volunteers to support people with hearing loss in their local area (e.g. their village, or local ward(s)), starting April 2019. You will need to commit to roughly 8 hours per month and have good eyesight (with glasses) and dexterity. You will be trained (via the 2-day hearing aid maintenance training course described above, other training days and hands-on experience) and supported to provide hearing loss information/advice/signposting, NHS hearing aid maintenance (via home visits and residential home visits). 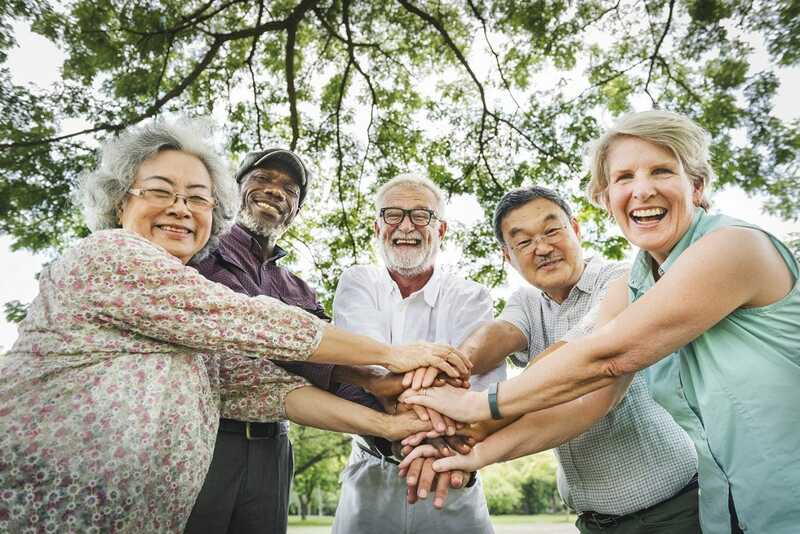 You may also want to undertake other activity of benefit to local residents with hearing loss, such as supporting them to meet one another and benefit from valuable peer support to reduce their sense of loneliness and isolation. However, this is optional. We are often looking for volunteers to undertake reception duties at our 43 community-based NHS Hearing Aid Maintenance Hearing Help Sessions across the county. At these sessions we provide NHS hearing aid maintenance and hearing loss information/advice/signposting. You will be required to welcome service users and process paperwork. You will need to have a calm and friendly approach and be able to commit to at least two hours per month. You will also need to attend our next two-day training course. Courses will be running is spring (Ely area) and summer (Cambridge area) 2019. We are looking for people to join our pool of volunteers who raise awareness about our work. These volunteers run information stalls at community events and/or provide awareness-raising talks about hearing loss within the community. The level of commitment is flexible and training is provided. We are looking for people to join our pool of Community Fundraising Volunteers who support/run our community fundraising events and activities. The level of commitment required is flexible. Our Director is also looking for a Volunteer Fundraising Assistant to help us secure income through all fundraising streams – such a role would suit somebody looking to build a career in charity fundraising able to commit to at least four hours per week. We are looking for people to join our Board of Trustees. You will need to have charity and/or business expertise and be passionate about supporting people with hearing loss. We are also looking for a Treasurer with expertise in financial management.